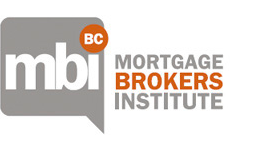 The Mortgage Brokers Institute of British Columbia provides professional education to mortgage brokers that comply with educational standards set by the Financial Institutions Commission for the purpose of meeting mandatory re-licensing requirements. The Registrar of Mortgage Brokers (FICOM) and CMBA-BC/MBIBC are working collaboratively to raise mortgage broker standards in British Columbia. The benefits of this collaborative effort will be felt across all sectors of the real estate profession which will ultimately serve the public interest when it comes to financing real estate.